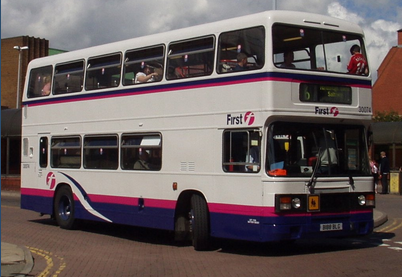 After recent wrangling over railways, FirstGroup is finally back in gear after it revealed that plans to overhaul its bus business are on track with revenue growth outstripping its rail business. The UK’s largest bus operator today revealed that revenues from its traditional bus business increased 2.4% in its final quarter (to the end of March). This marks acceleration since Q3, which saw 2.1% growth compared with the same period the previous year. The figures make particularly good reading for shareholders because they show that the group’s ‘turnaround’ plan to make its bus business more profitable is yielding some results. And it hasn’t finished trimming the fat just yet: it’s planning to sell off eight of its London-based bus depots. For the details: the facilities at Alperton, Hayes, Greenford, Willesden Junction and Uxbridge will be sold to Metroline for £57.5m, in a deal which will also hand over 494 vehicles and 1,700 staff. The other three are Atlas Road, Lea Interchange and Westbourne Park, which are going for £21.3m to Transit Systems Group. That raises (almost) a neat £80m and cuts a big swathe of the firm’s ongoing costs in London. In recent years it has been battling against the inevitable effects of the economic downturn: in the North of England and Scotland especially, higher fuel costs and slashed government subsidies have made it difficult to squeeze the juice out. It currently carries 2.5 million passengers per day on 8,000 buses in 40 towns and cities across the country – a large and expensive fleet. And let’s not forget that FirstGroup recently lost out on the deal to run West Coast mainline in a scuffle that upset most of the rail industry, not to mention that the firm today also revealed that its UK rail revenue growth is slowing: Q4 saw an increased of 5.9%, down from 8.1% in the previous quarter. At least it’s back on the buses.